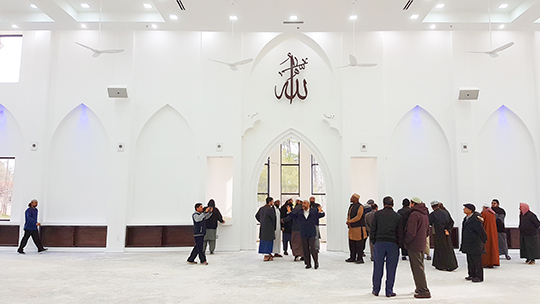 The event is scheduled to promptly start at 7pm, inside the new Masjid at 837 N. Indian Creek Drive in Clarkston, GA. 30021. All are welcome free of charge! Food is catered by Jerusalam Bakery. The menu is Lamb Shank (one large piece per person), salad, hummus, pita bread, rice and dessert. Please share with friends and family! Food will be served immediately after Maghrib Salat, in Sha' Allah, followed by Imam Shakir's keynote address. Please click on the PayPal Donate button above to donate securely using any major credit card. May Allah SWT richly reward you for your continued support.